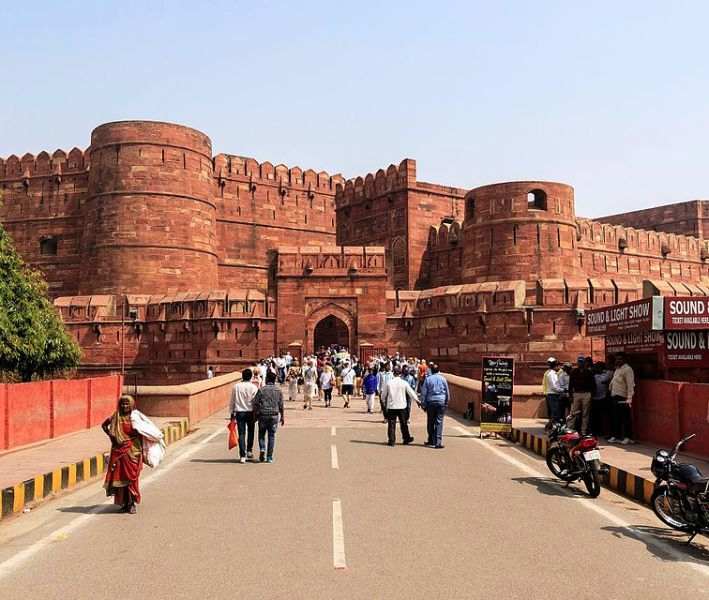 Agra fort or Red Fort of Agra is located on the banks of Yamuna River. It is located just 2.5 KM away from Taj Mahal and fort can be referred to as a walled city. It is a UNESCO World Heritage site and most visited tourist attraction of Agra after the Taj Mahal. 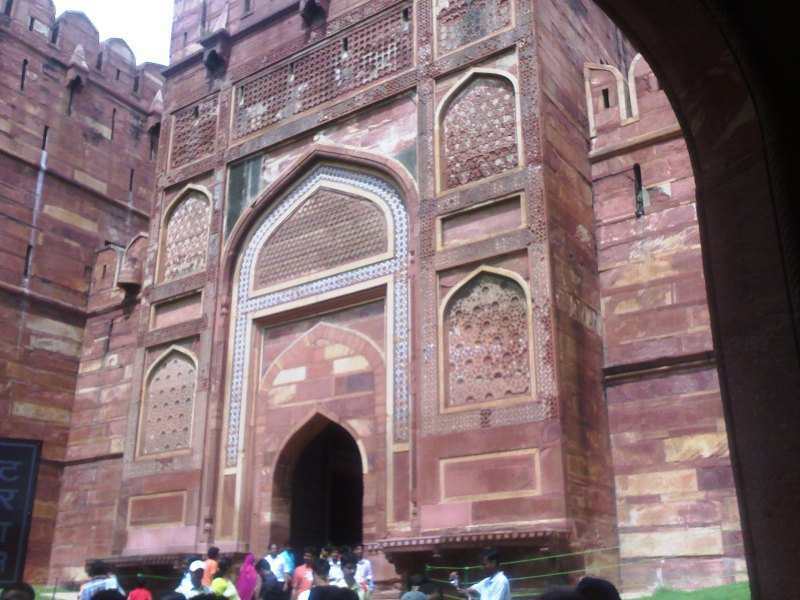 Agra Lal Kila was built before the 11th century as mentioned in many ancient inscriptions. The current structure was built by Mughals in around the 16th century. Akbar historian Abu’l-Fazl discovered the Badalgarh on the banks of Yamuna River in ruined condition. Akbar rebuilt and renovated the ruined Badalgarh fort with red sandstone. The construction of the fort was started in 1565 and 4000 workers took 8 years to build Red Fort of Agra. The construction of the fort was completed in 1573. Many structures are present in the fort like Sheesh Mahal, Diwan-i-Am, Diwan-i-Khas, Anguri Bagh, Khas Mahal, Mina Masjid, Nagina Masjid and Musamman Burj. The fort spreads over an area of 94 acres (384000 sq. m). The external walls of the fort are around 70 feet high (22 meters). Two main gates of the fort are Delhi gate and Lahore gate. Agra fort opens all day of the week from sunrise to sunset. Entry tickets are 40 Rs for Indians and foreigners have to pay 550 Rs as the entry. Children under 15 years are eligible for free entry. The citizen of SAARC and BIMSTEC countries has to 60 Rs as the entry fee. For more details about sound and light show, please visit uptourism.gov.in website. Agra fort is a must visit place of Agra if you are in the city for the visit of Taj. Taj Mahal can be seen from the fort and it looks very beautiful.